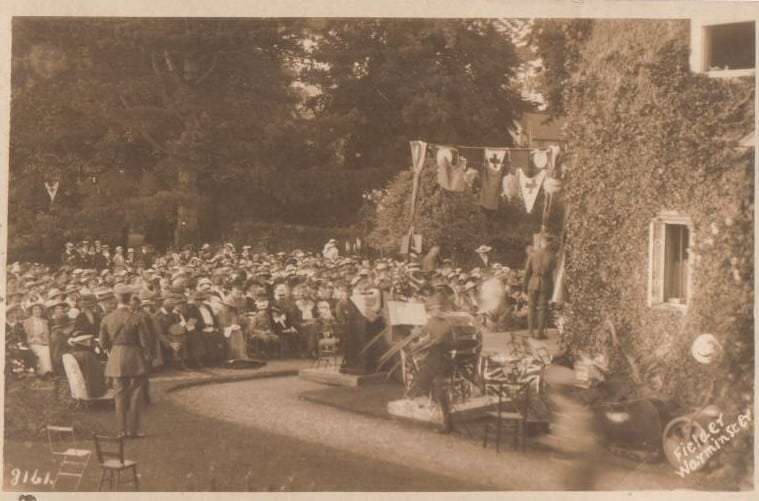 David Chalmers, Lower Westwood, Bradford on Avon has very kindly forwarded two postcards of a garden party in the vicarage garden at Sutton Veny taken by Fielder of Warminster. The text on one of them is dated 17 July 1917 and postmarked Sutton Veny and was sent by a relation who was at one of the army camps. The other card is unwritten. The 9th Reinforcement, 4th Pioneer Battalion from Australia disembarked at Devonport 12/4/1917, went to Fovant and Sutton Veny as above, arriving there 13/11/1917. 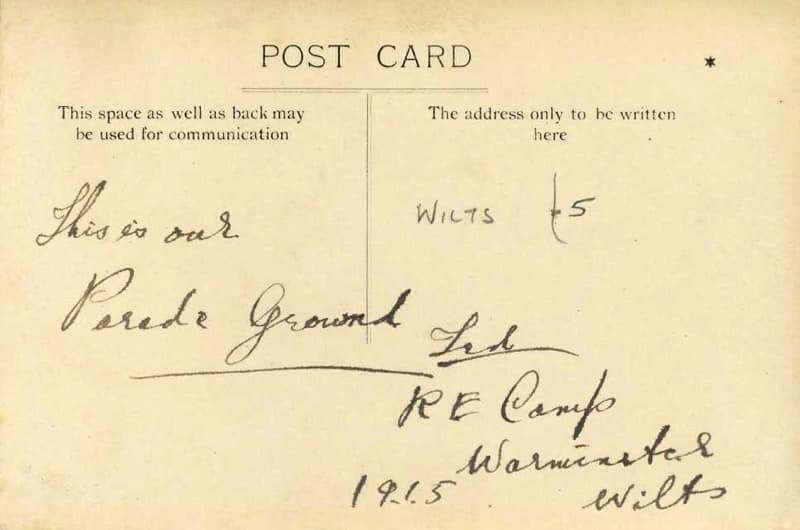 Subsequently sent to France through Southampton 16/1/1918. 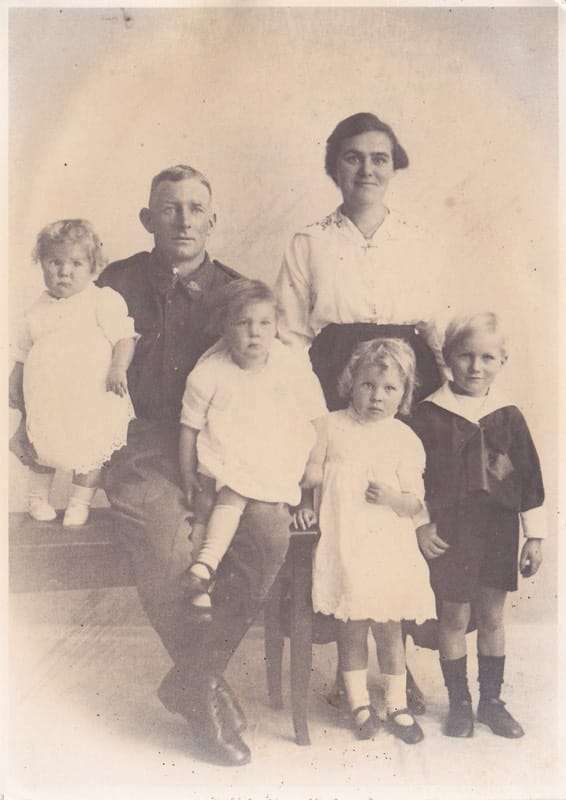 From his granddaughter Sandra Hass in Australia ............. My maternal grandfather, Hans Christian Duus (of Danish parentage) was initially sent to Sutton Veny and Heytesbury after his enlistment in the AIF. He arrived in Devonport on 12/4/1917, and was sent to Sutton Veny after spending 8 months in the Pioneer Training Battalion at Fovant on 13/11/1917, there being mustered as a gunner. From there, he was sent to France on 16/1/1918. 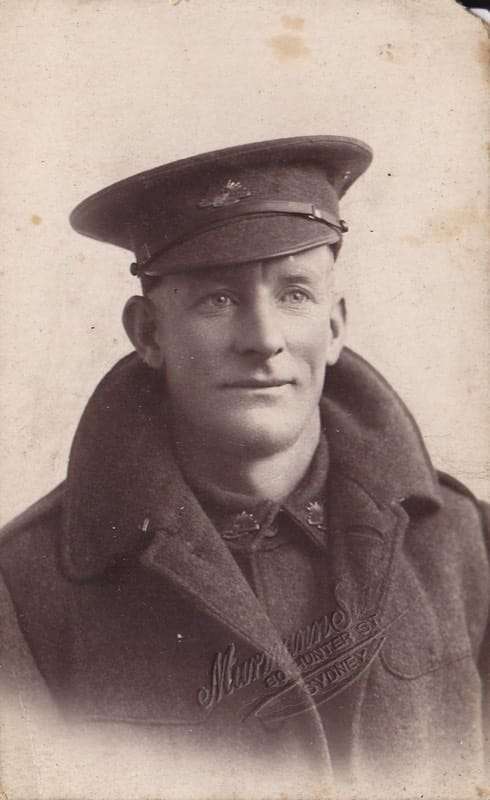 After only a month in France, he ended up in hospital - at the time of his enlistment, he already had miner's tysis after working in the Mt Morgan gold mine(near Rockhampton, Central Queensland,), so didn't really have much of a chance in the trenches. He spent some months recovering in France and England, and returned to Australia to be discharged on 21/3/1919. 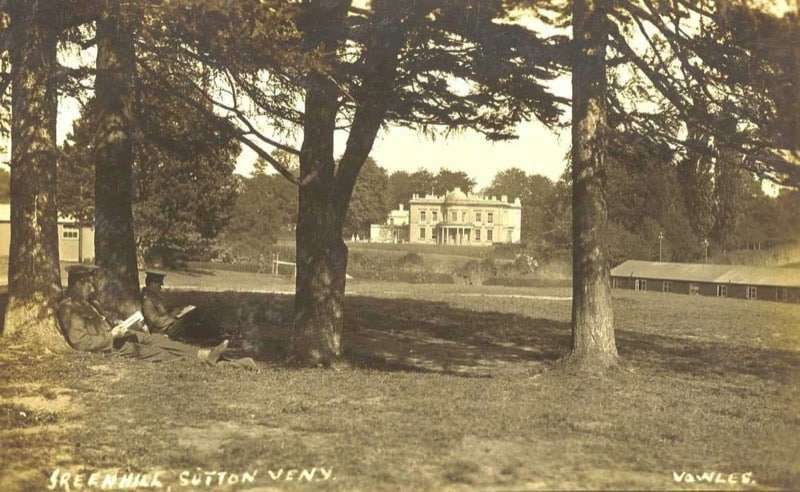 My mother was born while he was at Sutton Veny, and he did not see her till he arrived home. I have 2 postcards he sent her while he was overseas, both from France. 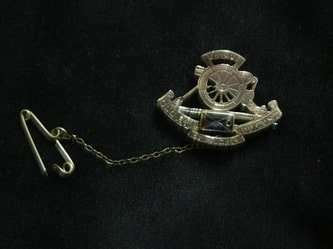 I also have a brooch he had made from a piece of Mt Morgan gold while he was in France. 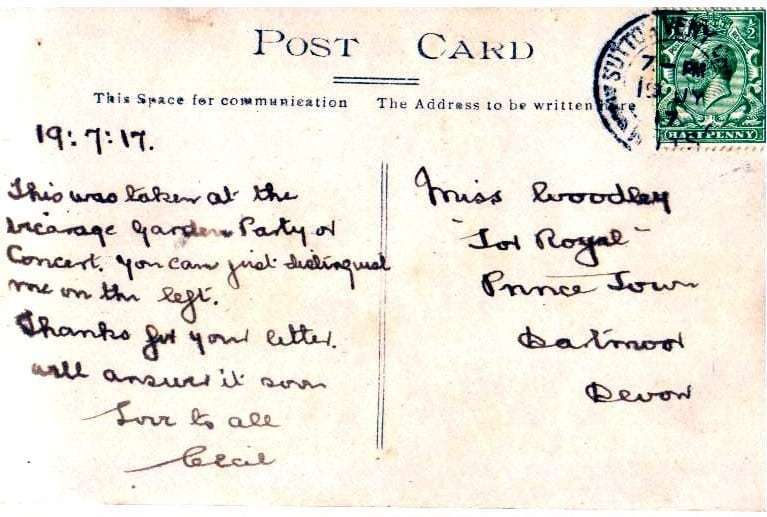 I thought you may like the attached postcard, written by Lieut Joseph Lance Hughes (1st A.I.F.) to his younger brother Thomas (my grandfather) who would have been 16 years old at the time. 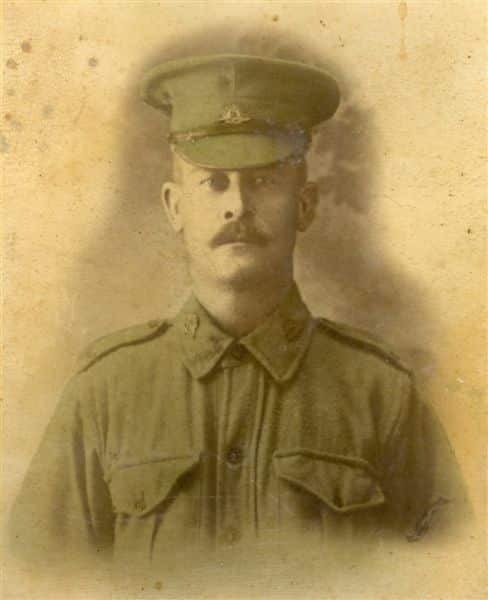 Lance enlisted in 1915 and was at Gallipoli, but invalided back to Australia. On his recovery he was enrolled in officer school, then was a training and recruiting officer before returning to the Western Front. 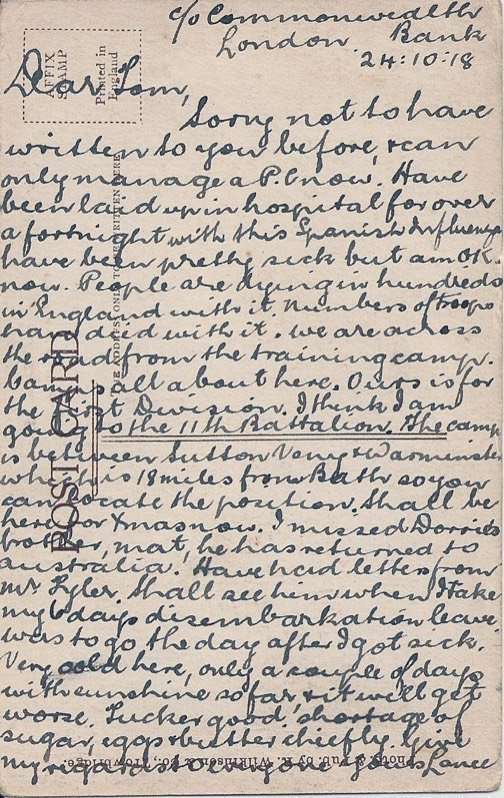 Lance survived the War, returning to Australia on H T Ulysses in 1919. He died here in Perth in 1967. Sutton Veny looks very beautiful on Google Earth. My Penny forebears came to Western Australia in the 1830's from Bowerchalke. Sorry not to have written to you before, and can only manage a PC now ! Have been laid up in hospital for over a fortnight with this Spanish Influenza have been pretty sick but am OK now. People are dying in hundreds in England with it. Numbers of troops have died with it. We are across the road from the training camp. Camps all about here. Ours is for the First Division. I think I am going to the 11th Battalion. The camp is between Sutton Veny and Warminster which is 18 miles from Bath so you can locate the position, Shall be here for Xmas now. I missed Dorriets brother, Mat, he has returned to Australia ! have had letters Mr Tyler ? 3rd Bn The Duke of Cornwall's Light Infantry on a route march travelling south east along the High Street in Sutton Veny. 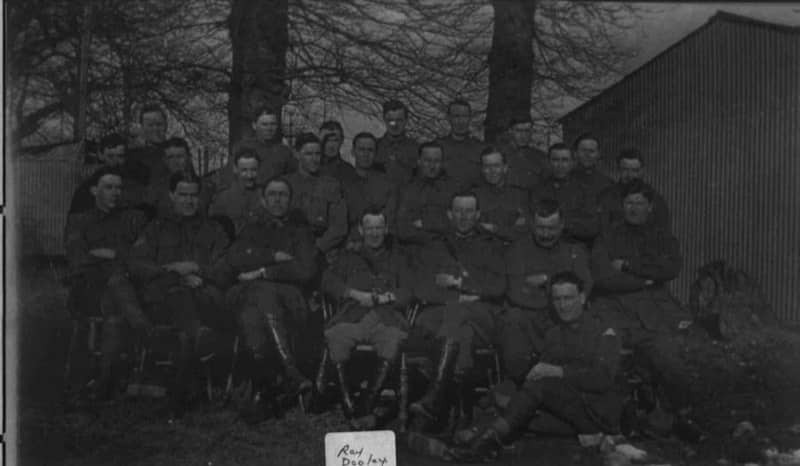 The Bn was stationed in the village Mar - Oct 1917. 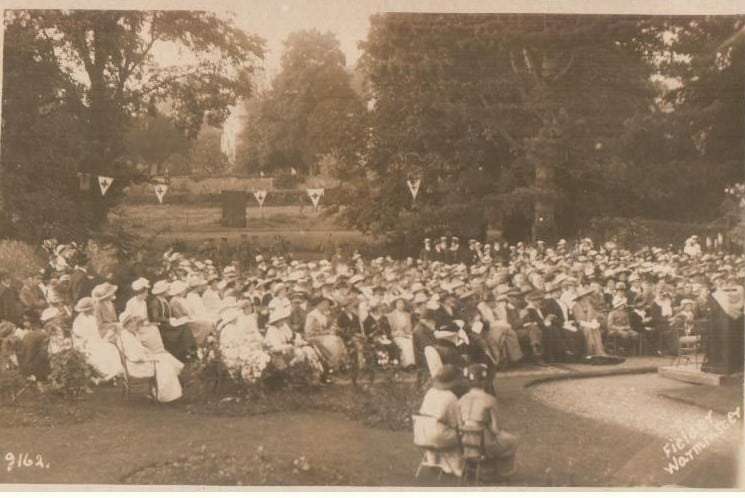 Thank you to Nick Thornicroft who kindly donated this photograph. Yes it has been very hot here, you'll be envious I'm sure, but as we've had the driest spring / summer since 1938, a record of 16 days above 30C in February, the hottest start to the year since tabloids began and a forecast of > 33C for next 7 days, frankly we'd love some English weather! I think it was my great great grandfather who bought the house, and my great grandfather who spent / lost the family fortune, made from woollen mills and banking, through amongst other things running both the North & South Wilts Hunts. ? 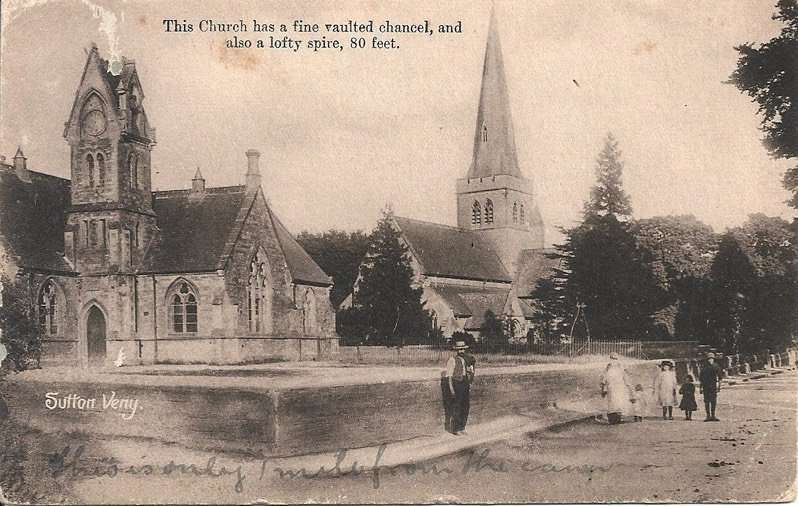 Will see what I can dig out, good to see current residents looking into the village history. 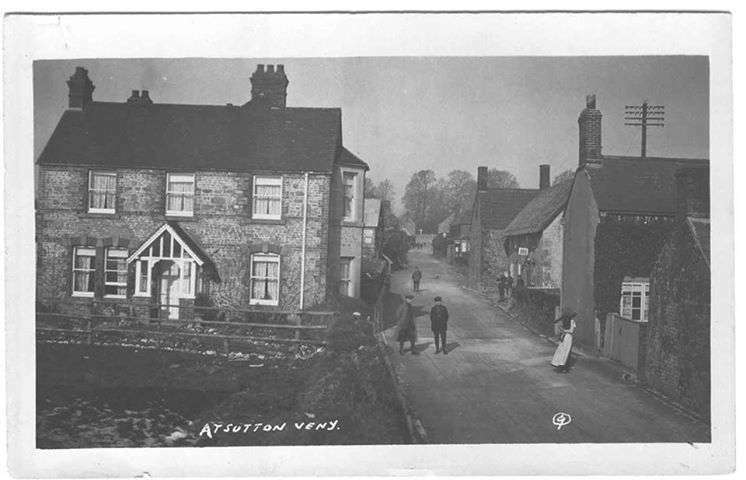 We lived in Helmdon, Northants before emigrating and they also have a great web-site. We loved and miss village life, very different here.